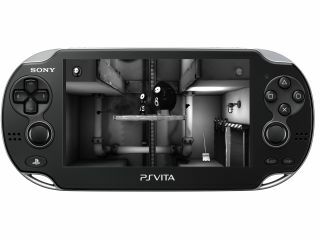 Can the PS Vita buck the financial trends and sell by the bucket-load? It's been an exciting week, especially for gamers. That's because the highly-anticipated Sony PS Vita has finally landed on UK and US shores. It's an excellent handheld gaming console and we had tons of fun reviewing it. But will the wobbly battery life and lack of polish with some of the software put gamers off? Elsewhere we've also had our paws on the latest mobile handset from Motorola, the Droid 4. In our eyes it could well be the stand-out best QWERTY phone out there right now, but sadly it's only out in the US for the time being. Netflix has also been heavily on the radar this week, and Philips has launched a very interesting little streamer designed especially for users of this service. We love the PS Vita - it's everything you could want in a modern handheld console. It's super-powered by quad core CPU and GPUs. It has a stunning OLED display. Control inputs are plentiful including dual analogue sticks, accelerometer, capacitive touchscreen and of course that unique touch-sensitive rear of the year. The first thing anyone will notice about the phone is how sleek and Razr-esque it feels in your hand. It's a QWERTY phone with a slide-out keyboard, but upon first handle it felt a bit like a slightly chunky touch phone. That's because at .5-inches it's surprisingly thin - thin enough for Motorola to bill it as the world's thinnest LTE QWERTY phone. But all that wouldn't much matter if the keyboard was garbage, and we're happy to report that we were able to quickly type on it, without having to relearn much of anything. It's a truly excellent keyboard and the keys are edge lit so you can type in the dark with rounded keys that help you find the tiny buttons you're looking to type. The phone comes running Android 2.3.5, but should get a bump to Android 4.0 in the coming months. It's slightly more powerful than its predecessor as well, with a 1.2 GHz dual-core processor and 1GB of RAM on board, and we tested a variety of intensive apps and each were smooth and fast. In terms of usability, Netflix has a good little service. While we like the simplicity of sign up and how easy it is to use, we can see that the catalogue issue is going to be a real sticking point for a lot of people – there's a lot of stuff missing. If Netflix doesn't have the films and TV shows you want right now, you could do worse than to check back in a few months and see how it's getting on, the only way is up after all. We'd advise home cinema buffs to hang on to the Blu-rays they've amassed – Netflix's currently patchy HD streaming won't keep you satisfied. But once Netflix has a few more content deals in place (and we've no doubt that it will) and with a price tag of only £5.99 a month, you could pretty much replace that DVD collection if you wanted. If you're just getting onboard with Netflix and want an easy way to throw it up onto your TV, the Philips HMP2000 could be the box for you. It's teeny tiny and easier to set up than one of those a self-erecting tents. It'll also play YouTube and digital files from a USB stick, but that's it. There are no more features. So if you think that's enough for you, it's £50 well spent. But for others with more complicated needs, it could be a bit too simple. And the remote control is just ghastly. Priced at £699 (RRP) in the UK and $799.99 in the US, the Canon PowerShot G1X costs more than some entry-level DSLRs, so Canon's really taking a gamble when it comes to estimating the level of appeal this unprecedented new compact camera will have. Thankfully, however, the manufacturer has backed up the Canon G1 X's price tag with a whole host of high-end features that go a long way towards justifying its cost. You'll need deep pockets to invest in this prestigious camera, but - if you can stretch to it - you'll be glad you did. That's because it impresses on all fronts, delivering excellent handling and great results across its comprehensive range of exposure modes. Pricey it may be, but this camera's real-world performance goes a long way towards justifying its price tag.